The Hellenic Institute of Metrology, EIM, is the National Metrology Organization of Greece and the official advisor of the Greek State in issues related to metrology and measurements. 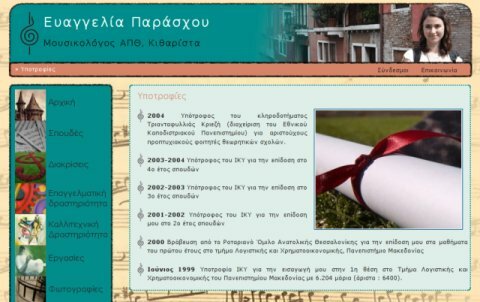 EIM website www.eim.gr was created using the latest version of WordPress (3.8.1) and a child theme of its default theme, TwentyFourteen. 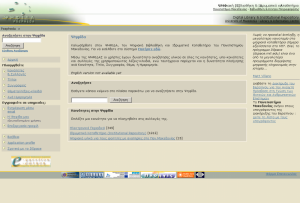 UltraClarity (yperdiavgeia.gr) is search engine for greek open public data. 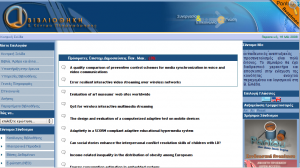 The Flow & Volume Laboratory of the Hellenic Institute of Metrology has developed a novel web application, using open source software. The application is able to perform the complete mathematical and statistical interpretation of raw calibration data as obtained during the calibration of tanks and vessels by the volumetric method or any other legitimate calibration method that produces an array of data relating the volume of the vessel to its height. A major advantage of the application is that it is completely web-based and supports multi-lingual interfaces while it performs in real-time a quite complex and time consuming statistical interpretation of the calibration data. 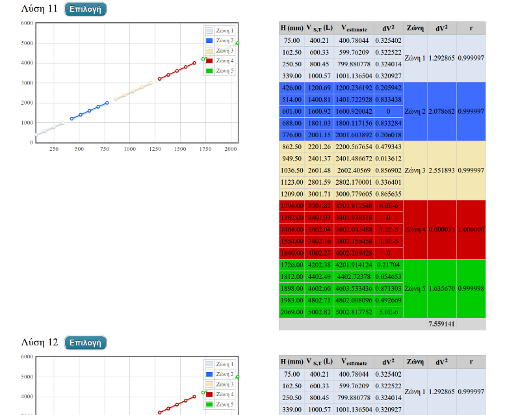 The application does not require any specific knowledge of statistics by the user and delivers an analytical calibration table and the associated measurement uncertainty. 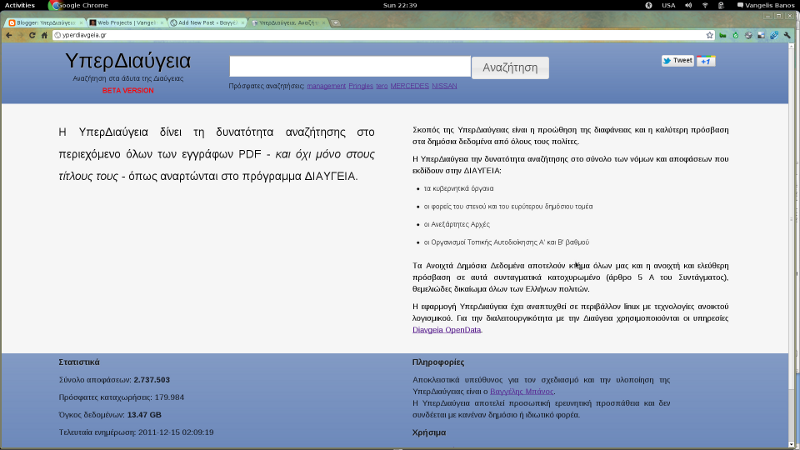 The application is available to every interested party through the web site of EIM (www.eim.gr). 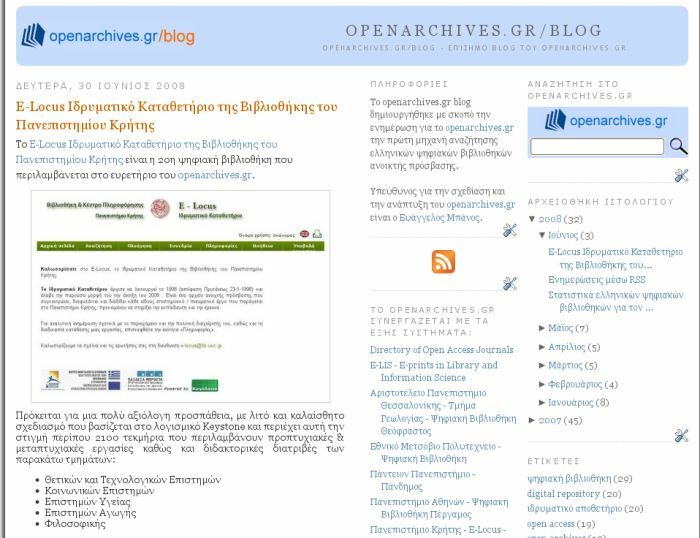 www.libsearch.com is a federated search engine harvesting 122 digital libraries and institutional repositories. We are currently providing access to 594213 documents and our index is updated on a daily basis. University of Macedonia Library and Information Center.